Fox News anchor Shepard Smith has earned a reputation over the years for ideological apostasy, providing a sharp mid-afternoon break from the conservative perspective that dominates the rest of the network's programming. But on Tuesday, he may have outdone himself. Over the course of six minutes, Smith provided a thorough fact-check of the latest Clinton-related conspiracy theory to capture the attention of Republican lawmakers, and his colleagues at Fox News. Smith, the chief news anchor at Fox, spelled out the specific allegation surrounding the sale of a Canadian company called Uranium One: "Nine people involved in the deal made donations to the Clinton Foundation totaling more than $140 million, In exchange, Secretary of State Clinton approved the sale to the Russians, a quid pro quo." Smith traced the origins of the claim, which has recently been in heavy circulation on Fox, but was first made in the 2015 book "Clinton Cash," written by Breitbart editor-at-large Peter Schweizer. From there, it became a talking point on the campaign trail for President Trump, who asserted in June 2016 that "Hillary Clinton's State Department approved the transfer of 20% of America's uranium holdings to Russia, while nine investors in the deal funneled $145 million to the Clinton Foundation." "That statement," Smith said, "is inaccurate in a number of ways." It may have been jarring to hear for the most loyal Fox News viewers, who for weeks have heard the network's anchors and commentators breathlessly hype the uranium deal as a scandal of Watergate proportions -- and a story that the liberal mainstream media refused to touch. Tucker Carlson has taken to calling it "the real Russia scandal." On Tuesday night, hours after Smith's debunking, Sean Hannity stood in front of an elaborate chart on the screen as he promised to "untangle the giant web of Clinton scandals and corruption." "We know laws were broken. We know crimes were committed," Hannity said. "The evidence is overwhelming. It's incontrovertible." Without naming his colleagues on the opinion side of the network, Smith delivered a powerful rebuttal to those claims on Tuesday. He explained that the deal required approval from an inter-agency committee known as "CFIUS," made up of the heads of the nine cabinet-level departments. "The nine department heads all approved the sale of Uranium One," Smith said. "It was unanimous, not a Hillary Clinton approval." "We don't know definitively whether Secretary Clinton participated at all directly," he added. Clips of Smith's takedown went viral on Tuesday. Matt Gertz, a senior fellow at the anti-Fox watchdog Media Matters, called it a "methodical annihilation of his own network's coverage of the story." It was the latest instance of Smith endearing himself to Fox critics -- and alienating the network's most diehard viewers. In July, Hannity even called out Smith for his pointed critique of the current administration. 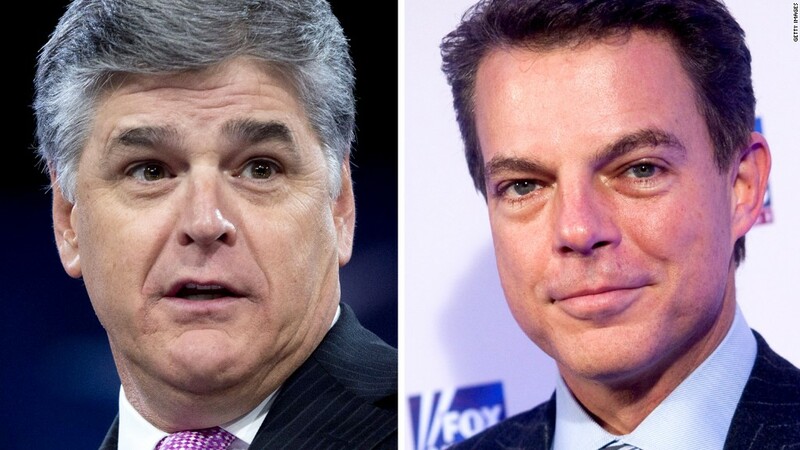 "I like Shep," Hannity said on his radio show. "But he's so anti-Trump."